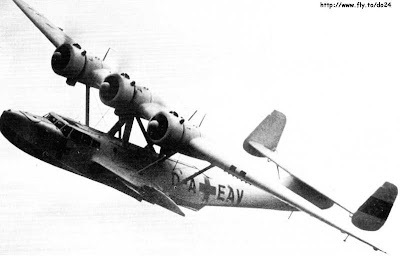 The first Aviolanda Do-24K-1, the X-30, was started on June 15th 1938 and was finished exactly one year later. This one had to be ready on February 1st for its first flight but delays were caused by lack of information and faulty information supplied by Dornier. De Schelde also had these problems and thus a production delay of two and a half months was the result. November 23rd the fifth cooperatively build Do-24K-1 was handed over to the MLD. Despite the efforts of both the factory's the production delay rose to four and a half months. Main causes for the rise in the delay was the draft of personnel from the factory for military duty and the stagnating foreign delivery of raw materials. The technical management of the license production in the Netherlands was in the hands of Oberingineur Otto Stellmann, who earlier was involved in the production of the Dornier Wal flyingboat by Aviolanda. Stellmann remained in this function even during the war. The Aviolanda Do-24Ks were test flown by officer-pilot 2nd class H. Schaper. After acceptance by the MLD the aircraft was dismantled and brought to Rotterdam by ship, from Rotterdam the Do-24 was shipped to the Dutch East Indies. Only seven Do-24K-1's were delivered when the war broke out for The Netherlands on May 10th 1940. The Germans captured the Aviolanda factory intact and found over 13 Do-24K-2's in several stages of building. The stockrooms were filled with material for another 16 examples. for at least 11 planes there were Wright Cyclones available. That same month Stellmann returned to Aviolanda and ordered the X-38 and X-39, which were almost ready, to be completed. The interest came from the German Seenotdienst (sea rescue) who had long waited for a chance to check out the so-called X-boot. The fighting forces of the Luftwaffe had first choice in equipment and the Seenotdienst had to do with aging Heinkel He-59's. They saw their chance for a new rescueplane, the captured Do-24K-2. June 1940 Flugkapitan Karl Born, commander of Seenotflugkommando I at Norderney, together with reprisentatives of Dornier and factory pilot Erich Gundermann came to Aviolanda at Papendrecht to see the X-38 in own person. Born was happy that he was to get the Do-24's, it meant a massiv leap forward for the Seenotdienst. As fast as possible the X-38 was brought to E-Stelle Travemünde by LZA pilots(Luftzeugambt). During the flight the plane still wore the colors of the Dutch MLD but the insignia were replaced by the German insignia and the registration D-AFBT. The gunturrets were removed because the pilots of the Seenotdienst were under the impression that they were protected by the red cross on the fuselage. Other small changes were made to the X-38 to make it more suitable for rescue missions and July 19th 1940 the former X-38, now completely white with great red crosses on the fuselage was delivered to Seenotkommando I (4/Seenotstaffel). Because the Seenotdienst was a civilian organisation the plane got a civil registration, D-AEAV. Why it did not retain the registration D-AFBT is not known. In September three more arrived at the LZA at Travemunde followed by four in October.